Have you been loving the recent nail trend on magazine nail art? It’s an amazing way to show of your own individual personality while making sure that no one else has the exact look as you! 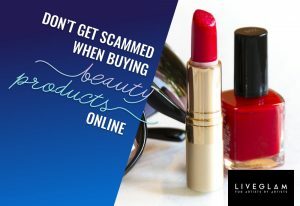 If you’ve been wondering how you can achieve this unique, beautiful look on your own nails, follow along with our tutorial below! It’s easy and super fun, and you’ll have your nails covered in last week’s Vogue in no time. 1. First, remove any polish on your nails and wash your hands to make sure they are clean. If your nails are a bit out of shape, it would also be a good idea to file them down a little bit before doing the magazine nail art. 2. Flip through the magazine and find whatever you like – pictures, words, phrases, graphics, etc. Cut them out and keep them to the side. 3. Apply the base coat of your chosen color to your nails – we recommend two coats to make sure the polish stays on. 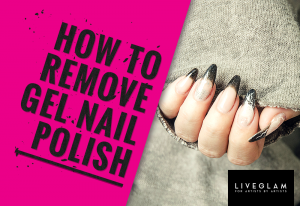 While the second coat is still a bit wet and tacky, apply the magazine clippings on your nails (use a pair of tweezers to help you position the clippings on your finger nails). 4. Once you’ve positioned the clippings exactly how you want them, paint a clear top coat on your nails (over the clippings). Make sure you press down any air bubbles while doing this! 5. Finish with an extra layer of clear nail polish just to be safe, and voila! Magazine nail art that was designed just for you. Show Us Your Magazine Nail Art Designs!